When you find that special person that you know you want to spend the rest of your life with, you have to consider a lot of factors. If you are bipolar, the list of considerations changes quite a bit. Should you tell that person up front? Will it scare them away? What if you don’t tell them, and you experience depression, anxiety, even mania? I know in my situation, I met a couple of guys before I met my husband, and I was always brutally honest. I never kept my condition from anyone. I was sure to make it clear that there was nothing easy about my situation, and there would be ups and downs. If the discussion ever warranted, I also made sure that they knew that kids were not in my future. Some seemed to think they could handle it, but truthfully couldn’t. The first time my depression kicked in, they stopped calling. Others were long gone before I finished the words, bipolar disorder. Joe was different from the start. He was kind and caring. He seemed to accept my issues. He came from a strong Catholic background, and I knew it would be hard to sell me to his parents. Particularly with no grandchildren in the mix. It didn’t take very long for Joe to realize that perhaps I wasn’t right for him. He suddenly dropped out of the picture, and I was left confused and alone. I hoped my disease wasn’t what scared him off, but deep down, I knew it was. Not many people know that about us. Our first time trying to make a go of it, we just didn’t click. I suffered through a series of mentally and sometimes physically abusive relationships after that. I convinced myself that this was the best I could do. In May 2001, Joe started calling again. I was guarded because I didn’t want the past to repeat itself. My parents were thrilled, especially my mom. She had always liked Joe and she was constantly worried about the other guys I chose to spend my time with. Joe confessed to me that he hadn’t been able to stop thinking about me. That a couple of years earlier, he wasn’t grown up enough to understand what challenges I would bring to the table. We worked harder at a relationship this time around, and by the end of July, we were talking about marriage and moving in together. When I look back on my failed relationships, I absolutely cringe. I should never have settled for the pain and heartache I had to endure. My self-esteem was so far in the toilet. I just knew that since I wasn’t truly good enough for anyone, that men could treat me as such. I just accepted it. After you subject yourself to this for years, if something good comes along, you can hardly recognize it, let alone believe it’s actually happening. I’m here to tell you that you do not have to allow yourself to be treated like you aren’t worth it. You are not broken, useless or a failure. 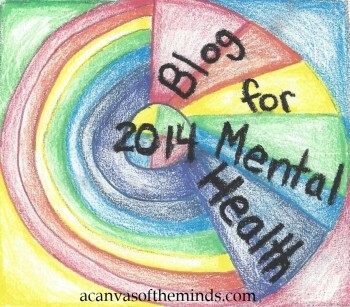 You have just as much to offer this world as anyone who doesn’t suffer from mental illness. There will probably always be that little voice inside your head telling you that this one is going to walk out on you too. Don’t let that voice take over! Relationships are hard for anyone. They are even more difficult on those of us with bipolar. I’m not going to tell you that it’s always perfect. Once you find the love of your life, it’s pretty damn close. Honesty, communication, and laughter. You must have all of these. Talk about your feelings! Give them a voice. Know that your spouse loves you for you, and for the happiness you bring into their life. When you get down, don’t do what I’ve done in the past and offer them a way out. It hurts them more than it hurts you. Anything worth fighting for is hard work, we all know this. When you find love and acceptance in the eyes of your best friend, you will know true happiness. Don’t doubt yourself or your relationship. You will, of course, have ups and downs, there is no way around that. Everyone does! Yours will be a different set of challenges, and you must be realistic about that. Just know that you can do this. All of my life, I have struggled to find something that I am actually good at. I have finally found it. Loving my husband so completely is my calling in life. He means everything to me, and I can only hope that each and every person reading this can find that as well. Being married with mental illness is not impossible. It takes work, but it is more than worth it. This entry was posted in bipolar disorder, mental illness and tagged bipolar, bipolar disorder, mental illness, mental illness and relationships. Bookmark the permalink. Please leave any comments on the original post. Thanks! Thank you for reading and sharing the article! I’m glad you connected with it. Wonderful story, Rebecca. I too went through a series of bad relationships. Unfortunately, I hadn’t been diagnosed so I was as confused as they were. Finally I met the love of my life and was diagnosed with bipolar about nine months after we moved in together. Held my hand the whole way through the find the right meds gain. My belief is not to look for “the one,” just let them walk into your life one day. I agree with you 100%. It always seems that when we stop looking, it happens. I’m so happy for you. I wish you all the best! Thank you for reading! I know you didn’t ask my opinion, but perhaps if you let your significant other read my article, maybe it could get a dialogue going. I would hate for you to have to get hurt again! I am always of the mindset that being honest is the best way! I wish you the best! Lovely post. I have bipolar and recently got engaged- it’s very encouraging to read your lovely blog! Congratulations on your engagement! Wishing you the best! This is so like my own story. I met my Hubby 10 years before we married, 8 years before I went into a euphoric state because of a new medication for my bipolar and had a near-fatal accident and 7 years before I met and married a very abusive and controlling man. I had other relationships that were not really the right ones for me. My Hubby and I went through some really tough years with my illness (and he found out he was suffering from depression as well). However, it is true love and the best thing that happened to me. BTW, we got married September 1, 2001 – a month minus two days after you! This is a great read. Rebecca tells it like it is for a person with bipolar to find true happiness and the love of their life! Please give it a read. Reblogged this on The Bipolar Architect. I love this. So often I feel like a “Clearance Rack Wife” because I am broken and not functional like “other women.” It’s nice to hear I’m not the only one who’s felt like this! Most men are such horrific sacks of poop, im not sure why any woman with a mental illness would want one. Men have only ever exacerbated by emotional problems and left me much worse psychologically than before. Screw them. I don’t want one.